Healthy Choices by Sugarleaf formally opened in Greenhills. Sugarleaf… foods that nourish expands its mission in providing Filipinos and expatriates better living and eating with Healthy Choices. Healthy Choices is a store that showcase things related to health and wellness. Renown sports newscaster and health advocate Ms. Dyan Castillejo and MTRCB Chairperson Mrs. Grace Poe Llamanzares graced the occasion and cut the ceremonial ribbon with Healthy Choice's main man Rman Nepomuceno Lorenzo. Rman shares “It’s been an exciting journey but well worth the wait! Healthy Choices by Sugarleaf, is finally open! 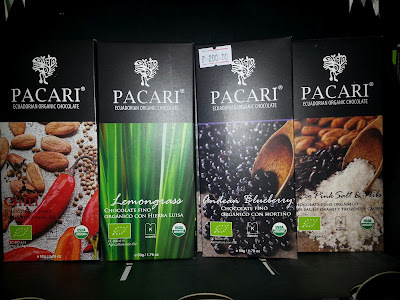 With the continued patronage of our loyal clientele; increase in new customers eager to live more healthily; and the forging of new partner-ships–most significantly the one with the La Trinidad Organic Practitioners, we felt that it was time to differentiate the mini-mart concept from dining. We now have a more consistent supply of certified organic produce at more reasonable prices! The mini-mart in their Makati branch at the MEDICard Lifestyle Center will also be converted into Healthy Choices very soon and bringing a wider variety of products to the central business district. I'm a regular at the Sugarleaf Medicard Makati branch, it is where I get kefir and some organic vegetables, it is my first time to visit their pilot branch, which is in Greenhills and may I say, it is one tremendous idea putting the organic and health-giving store alongside a nice cafe which serves more healthy menu picks. Organic vegetables, food supplements, honey, superfoods, teas and more. 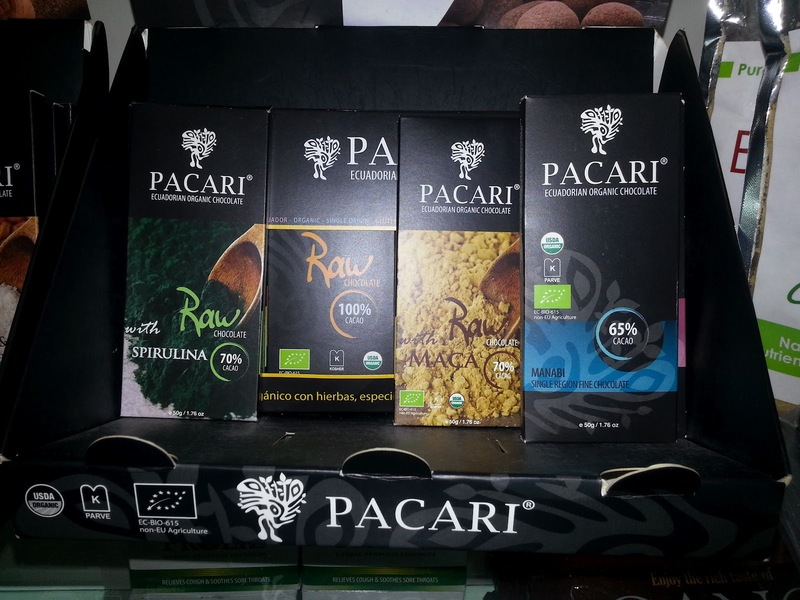 Here is where you can find raw cacao or chocolates added with essential herbs or superfoods. Craving for some unusual Ecuadorian Chocolates? Jello's kefir Ice creams, frozen breads, organic frozen meats fill up the freezer smacked right in the middle of the store. Here is what I bought at the Healthy Choices by Sugarleaf after the ribbon-cutting ceremony. Organic basil leaves for my pesto sauce, Black Chia from Frozudo, and my girls' favorite Sugar-free Chocolate Cranberry Cookies. Do come again for I will be featuring more products from Healthy Choices' shelves with recipes and nutrition information to go with it. sayang, I missed this event. I Love their Kefir Ice cream! Wow! This is a must place for me to visit next time I'm back in Metro Manila. I think Rman will be coming to Bohol with Warren Tan next month.